Ras Al Khaimah (United Arab Emirates) – October 12, 2018 (travelindex.com) – The Pacific Asia Travel Association (PATA) is set to organise the PATA Annual Summit 2020 from May 15-18 in Ras Al Khaimah, one of the fastest growing tourism destinations in the United Arab Emirates (UAE). With year-long sunshine and 64 kilometres of white sandy beaches, just 45 minutes from the busy metropolis of Dubai, Ras Al Khaimah presents an extensive selection of exclusive outdoor activities from mountain biking and kayaking to desert safaris, fishing and golf. 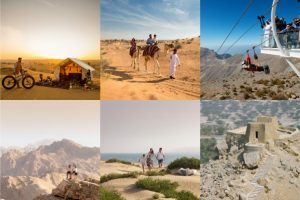 Travellers can also have the unique experience of trekking the tallest mountain in the UAE, Jebel Jais, and descending via the world’s longest zipline. These experiences dovetail well with the premium accommodation, the eclectic selection of international gourmet experiences and the world class spas.